“We’re not an operetta palace!“ Says Komische Oper intendant Barrie Kosky at the press conference where he announced the new titles for the upcoming season 2019/20. It’s not a joke, even if you might think so. 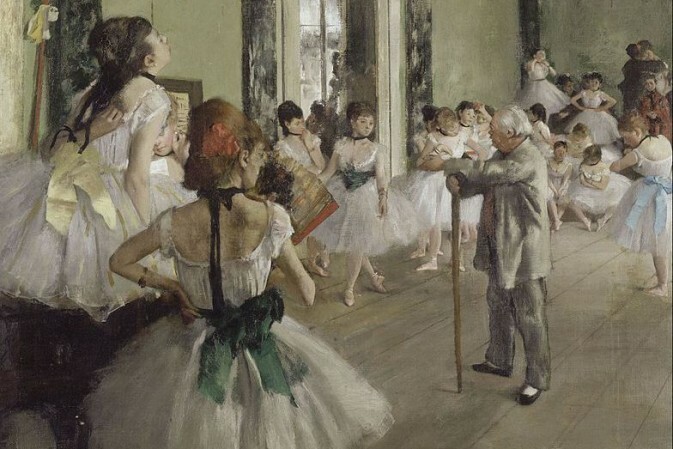 His financial manager, Susanne Moser, points out that attendance for all performances between September 2018 and March 2019 was up to a staggering 94,6 percent. That’s amazing, obviously, and it’s not just because of the operetta and musical productions. But effectively it is also due to the constantly sold out Dagmar Manzel spectacles, and to West Side Story, Anatevka, and My Fair Lady. (Why be ashamed of that?) Anyway, next season promises many more operetta rarities, though none of them will involve the superstar diva, the divine Miss M. You do get the other Miss M, though, in a new Kurt Weill program. The big staged production of 2019/20 will be “the last Weimar Republic operetta,” Jaromir Weinberger’s Frühlingsstürme. It was written for Richard Tauber and premiered at the end of January 1933. After only 20 performances – disturbed by rioting Nazi troups – the show was gone, and forgotten, except for a few obligatory Tauber recordings. Mr. Kosky combines the Weinberger rarity (which he will stage himself) with Weinberger’s greatest hit, Schwanda, der Dudelsackpfeifer. 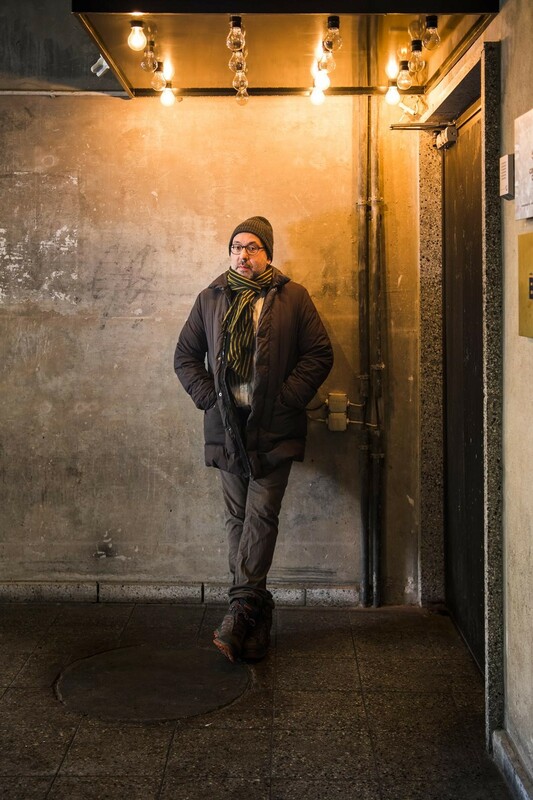 It will be staged by former Komische Oper intendant Andreas Homoki, probably as a cross promotion deal: Mr. Homoki gets to do something in Berlin, Mr. Kosky gets to do something in Zurich. (Where Homoki is intendant.) It’s certainly good to know that two Weinberger titles are entering the Berlin repertoire – it was about time! And maybe they’ll both go to Switzerland someday, too? The other big item and resurrection is Paul Ábrahám’s Dschainah, as a concert performance for Christmas. Dschainah, the story of a “dancing girl,” was written for the Asian wife of Austrian coffee manufacturer Julius Meinl. 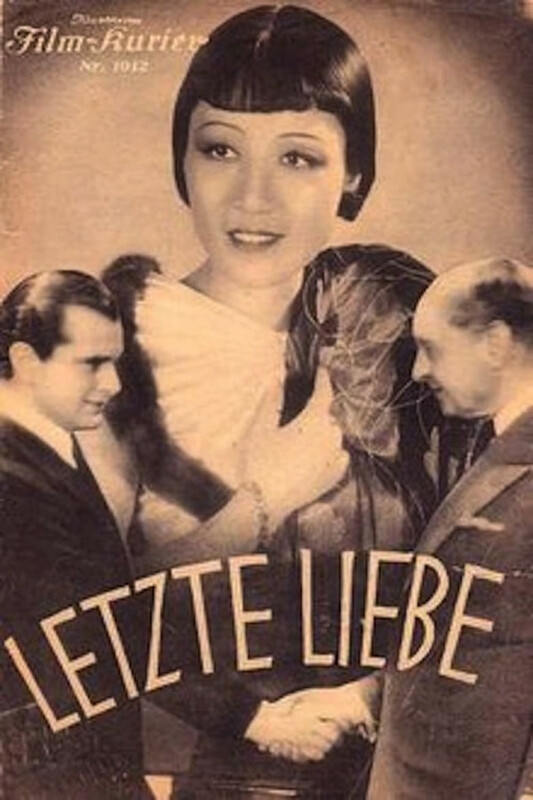 Kálmán had been offered the job first but turned it down, it then went to Ábrahám and the result premiered in Vienna in 1935 – with Michiko Tanaka-Meinl. She had debuted in 1930 in The Geisha by Sidney Jones in Graz, she sang Madama Butterfly next to Richard Tauber’s Pinkerton. Then came Dschainah, das Mädchen aus dem Tanzhaus. It was financed by her husband, Mr. Meinl, just like her first movie, Letzte Liebe. In Paris she filmed Yoshiwara in 1937, in 1938 Sturm über Asien followed. She had affairs with dramatist Carl Zuckmayer and actor Sessue Hayakawa, till she met the actor Viktor de Kowa and married him in 1941. Ex-husband Julius Meinl was best man. Mrs. De Kowa made her husband’s house a famous meeting place for Japanese in Nazi Berlin. She later introduced Seiji Ozawa to Herbert von Karajan, who became my Ozawa’s teacher. She was active in post-war years in setting up a German-Japanese cultural exchange, and she helped founding of the Japanese-German Society Tokyo. She died in 1988 and is buried next to her husband, Mr. de Kowa, in Berlin at the Heerstraße graveyard. In a way it’s a double coming-home. It’s the first ever performance in Germany of the opulent Ábrahám operetta, the score is currently being reconstructed by Henning Hagedorn and Matthias Grimminger. The other operetta novelty is a revue called Ich wollt’ ich wär’ ein Huhn, starring mezzo soprano Anne Sofie von Otter, with Adam Benzwi as musical director and with actor Wolfram Koch as the team’s best man, so to speak. It’s mostly about songs from the 1920s, but as the title indicates, music from famous Nazi era films will also be included. Which should make for an interesting mix and interesting discussion. As you’ll recall, Matthias Kauffmann in his recent book about operettas from Nazi times examines how the genre changed after 1933, or didn’t change. The changes are often subtle, but it’s worth taking a closer look to see what happened and how. I’m sure the material is in excellent hands with Mr. Benzwi. With all these titles coming into the repertoire anew, the already massive operetta offerings at Komische Oper are ever expanding. 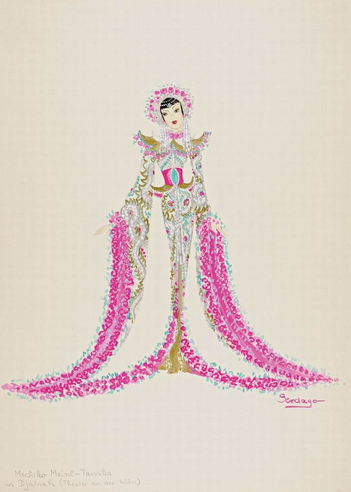 Even though the phenomenal Ball im Savoy production – which once started Mr. Kosky’s reign as intendant in Berlin – has been taken out of the repertoire, permanently. (A great loss.) But Ábrahám’s Roxy und ihr Wunderteam will probably continue playing in 2019/20, staring the Geschwister Pfister. If you need more Weimar Republic operetta: I heard from the musical director of Alles Schwindel that this dazzling Spoliansky show is coming back to Gorki next season. Competition is never a bad thing, and it’s good to have a different kind of approach to this repertoire with stage director Christian Weise and stars such as Vidina Popov and Jonas Dassler, because they are certainly a worthy alternative to Miss Manzel, Miss Mehrling or Max Hopp. Talking of Miss Mehrling: she and Mr. Kosky will present an evening of songs and chansons by Kurt Weill, entitled Lonely House. 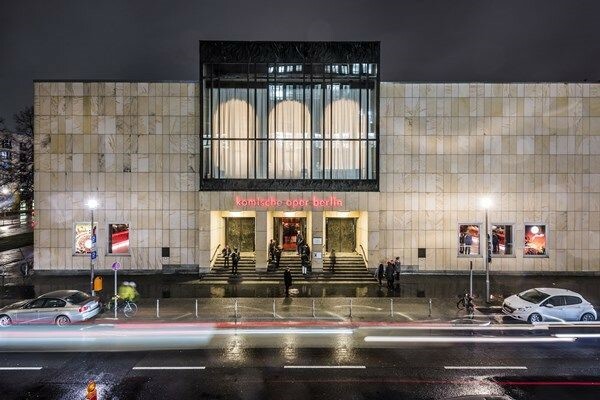 Let’s hope that after Oscar Strauss, Paul Ábrahám and Jaromir Weinberger the Komische Oper will finally get around to presenting Weill’s grand Broadway “operettas” in Berlin: Lady in the Dark and One Touch of Venus. Katharine Mehrling would be a ideal interpreter of the title roles originally written for Gertrude Lawrence and Mary Martin. Another concert is dedicated to Yiddish Operetta, with Mr. Kosky playing the piano, Alma Sadé and Helene Schneiderman sing the songs. They already did so in the past. It’s wonderful to see that this gem of an event is coming back… And yes, I’d love to see a full Yiddish operetta at Komische Oper. Maybe once the house closes for renovation and the company starts exploring various off-scene locations around Berlin that will become an option. A piece like Die Goldene Kale/The Golden Bride (1923) with music by Joseph Rumshinsky – recently revived in New York City by the Folksbiene National Yiddish Theatre – could work very well with Berlin audiences interested in musical history that’s alive and kicking. The Komische Oper certainly is, and I have to say that I find their programming so wonderful that I can even forgive the choice of another Traviata in 2019/20 (it’s the wish of music director Ainars Rubikis). Compared to the uninspired “Spielpläne” and “novelties” at the other two Berlin houses, a new Traviata is a minor problem. 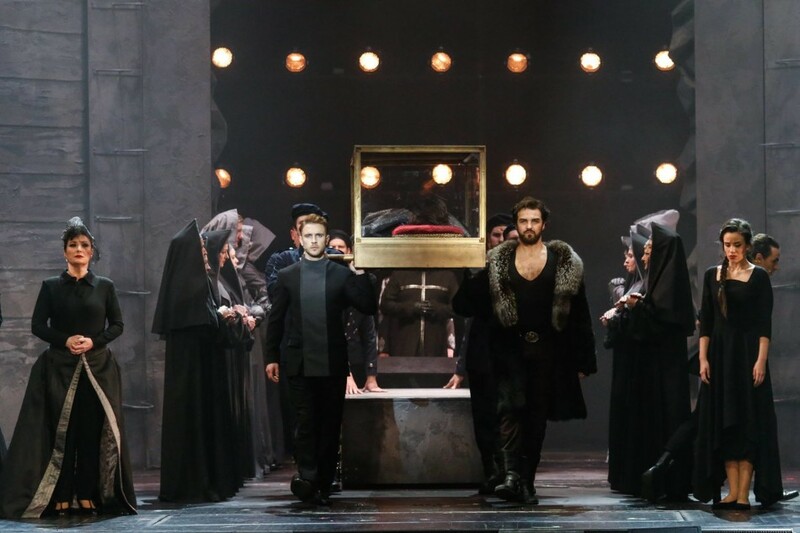 And since the Verdi opera is all about the demi monde world of 19th century Paris, it might tie in well with the Offenbach offerings of Komische Oper. Stay tuned. For more information on Komische Oper Berlin, click here. How interesting you are mentioning Rumshinsky – I am about to email them about his Tsubrochene Fiedele!